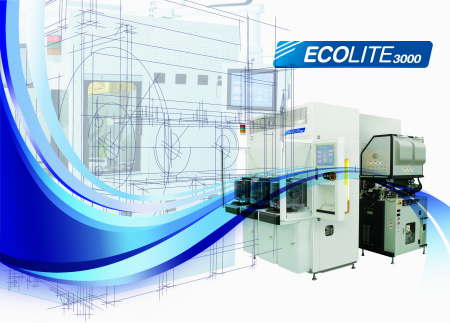 Ecolite3000, successor of the Tera Series, is a simple and economic Low Temperature Ashing System designed with a Low Damage Remote Microwave Plasma Source & Bias Power. The system achieves high ashing rates(2micro m/min) under low temperature conditions and high performance Descum processes for flip-chip bumping applications. High productivity, process recipe flexibility and small design footprints lead to Low Cost Ownership for customers. Copyright © PSK Holdings. 2019. 이메일주소무단수집금지 |개인정보처리방침 | 사업자 등록번호: 125-81-06879 | 경기도 화성시 석우동 2-12(삼성1로 4길,48) 피에스케이 홀딩스(주) .